Four star Hotel de las Americas is set in the heart of one of the most elegant commercial districts of Buenos Aires, La Recoleta, and within walking distance of two exclusive avenues: Santa Fe Avenue, the fashionable shopping area, and 9 de Julio Avenue, also known as the 'Widest Street In The World.' The hotel features 150 spacious and stylish guest rooms and 12 suites, all with a variety of amenities. La Cascada restaurant and tearoom offers an American buffet breakfast to start the day, and international cuisine for lunch and dinner. Hotel amenities include: Non-smoking rooms, business center, 24-hour room service, valet parking, laundry and dry cleaning service. Room amenities include: Magnetic locks, safe-deposit box, individual air-conditioning and heating controls, 21-inch cable television, stereo, radio alarm clock, minibar, coffeemaker, two-line digital telephones, voice mail, internet access, bathroom telephone, and hair dryer. 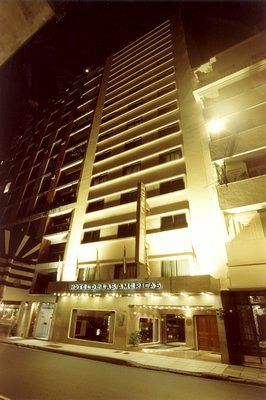 Hotel del las Americas makes for an ideal accommodation while providing convenient access to Buenos Aires' financial area, shopping, commercial buildings, embassies, consulates, airlines, and cultural centers like Colon and Cervantes Theatre.